All this is dead simple, right? I can’t find anyone who disagrees that outside-in thinking is a key to success, particularly in today’s turbulent competitive environment. And yet most organizations lament that they are not good at it. Why is it so hard to pull off? I think there are 4 reasons for this gap between aspiration and reality: human psychology, misleading advice, organizational barriers, and confusion about the relationship between strategy and planning. The psychological factor is intriguing. Research shows that during informal conversations where there is no agenda, most discussions lapse naturally into internal thinking. Hence conversations in the company cafeteria are most likely to be about the internal workings of the organization, gossip about its people, rumors of reorganization or downsizing, fears of a takeover, and so on. A favorite topic: “My boss is worse than your boss.” Rarely will we hear a meaningful exchange of ideas about the key trends in the competitive environment or the hierarchy of customer needs. Based on my 20 years as a CEO, I can testify that this inside-out mindset is pervasive. It is the natural default condition. This is where we find comfort and security in a world we know and enjoy the titillation afforded by gossip. The truth of the matter is that outside-in thinking is an unnatural act. Without a forcing mechanism, it hardly ever happens. This is a sorry tale. A number of concepts and analytical frameworks promoted by outside “experts” have pulled companies in exactly the wrong direction. Over many years, executives have been fed a steady diet of inside-out thinking by some influential consulting firms and strategy gurus. These have served to entrench inward-looking mindsets which then become what Howard Gardner called “engravings on the brain.” The list of popular frameworks is a long one. Among them: SWOT Analysis; the Product Matrix of cash users, stars, cash cows and dogs; the Core Competency philosophy; Values Workshops; Management by Objectives; the Balanced Scorecard. What’s wrong with these, you might ask? Nothing intrinsically. They can all be useful if applied in the right sequence. But they all start in the wrong place – inside. The element that informs the best answers is missing: insights about the external environment as the first order of business. The truth of this became all too real for me recently when I was invited to advise a study group which had been asked to reexamine an out-of-date aspect of industrial policy and recommend changes. For 3 months they had toiled away and then, in their own words they “hit a wall.” It quickly became apparent to me that their problem was that they were asking themselves the wrong question: “What should we do?” (This is a variant of Management By Objectives). The harsh reality is that the world does not care what we do; people care only about the value they receive. So we turned the process around and asked a set of outside-in questions starting with an analysis of the interests of the beneficiaries this policy was designed to serve. In rapid order the group came up with four “value gaps”, ie. the gaps between what the beneficiaries valued most and what the current policy was offering them. These value gaps represented the roadmap to a new policy, and the recommendations were unanimously approved by the policy makers. The pivotal factor was simply turning the question from inside-out to outside-in. Organizations asking inside-out questions will invariably “hit a wall” or end up pursuing misguided strategies. The big challenge is to create a core process that will force systematic outside-in thinking in an organization. It won’t happen by simple exhortation or ad hoc exercises. Invoking Howard Gardner once again we need to employ “mental bulldozers” to clear away those stubborn engravings on the brain. What are our customers’ needs and the key features of the market in which we must compete for advantage? What do we aim to achieve and what few things must we do outstandingly well to win the competition for value creation in this environment? How will we align our business system and inspire our people to achieve superior execution? How will we continue to learn and adapt as the environment changes? Note that the process is outside-in. And also that there are actually three questions — the fourth question is the ability to refresh the answers to the first three. I am not arguing that all staff functions should become experts at market research and environmental scanning techniques. But as Peter Drucker reminded us, success occurs outside the boundaries of a company; inside is where we mobilize the necessary resources and count the money. If corporate functions are to establish priorities with the ultimate customer in mind, then this requires at minimum a working knowledge of industry trends, the needs of customers and the actions of competitors. Here is the process I recommend for staff functions as they go about their planning. It is common for staff functions to think of themselves as “cost centers.” This is a purely internal perspective. While efficiency is necessary, it is not sufficient. Instead, I urge staff functions to think of themselves as “value centers.” This clarifies the strategic mission for every function in an organization: to create greater value than the costs they incur. This will occur only if they operate with an outside-in approach and thereby contribute positively to the creation of competitive advantage for their organizations. A major source of confusion concerns the difference between strategy and planning. Many executives struggle to distinguish between the two. In fact there is a fundamental difference between the aims and outputs of strategy and those of planning, and confusing the two can compound the problem of inside-out thinking. Strategy is about doing the right things. It harnesses insight about the external environment to make the most intelligent choices about where to compete and how to win the competition for value creation. Its primary role is to create an intense focus on the few things that matter most for the achievement of competitive advantage. It is quintessentially outside-in. Planning is about doing things right. 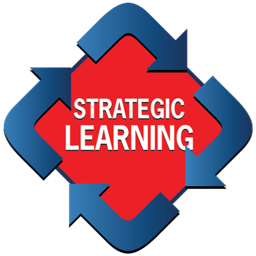 It flows from the choices made in the strategy process and provides orderliness, discipline and logistical rigor. Its purpose is not to create breakthrough thinking, but to produce predictability through forecasts, blueprints and budgets. Its orientation is largely internal. A good way to understand the difference between strategy and planning is to think about running a railroad company. Strategy defines where you will lay the railroad tracks. Planning ensures that the trains will run on time. I am not arguing that planning is unimportant. Both strategy and planning are vital, but one is not a substitute for the other. Because their outputs are so different, it is a toxic mixture when we combine strategy and planning in one process (and then dodge the issue by calling it “Strategic Planning”). The evidence suggests that such a combination is likely to produce 90 percent planning and only 10 percent strategy. Planning then becomes a substitute for strategy, and over time such companies will lose the ability to think and act strategically. To instill this crucial outside-in capability the golden rule is: strategy first, and planning afterwards. Strategy as a concept was born in the military, and all its great precepts can be derived from military thinking. Over the years I have done a number of workshops at the Army War College in Carlisle, Pennsylvania. I have learned a great deal from these learning sessions. One of the paramount principles that is emphasized by the military is that “intelligence precedes operations.” Quoting numerous examples, the military academy stresses that if superior intelligence is not completed prior to launching operations, “people will die.” Exactly. And so will companies. To avoid this fate we must learn the unnatural act of outside-in thinking.